Oktobeerfest 2015: The Festival You Don't Want to Miss! If you enjoy a good craft beer, you won&apos;t want to miss out on Oktobeerfest 2015! 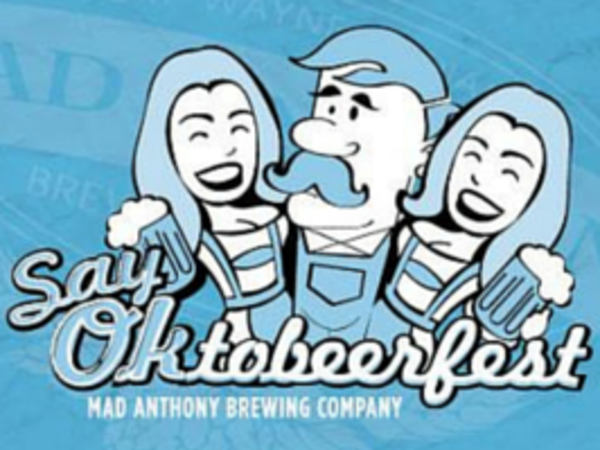 Each year, Mad Anthony Brewing Company hosts this event, bringing together craft brewers and beer lovers from all over Indiana. This year, over 30 brewers (an updated list can be found on the Mad Anthony Brewing Company website) have already committed to attend and pour their beer for you! The festivities begin on September 12th at 2:00 pm at Headwaters Park West and the party will continue until 6:00 pm. Tickets are $30 in advance, $35 at the gate, or $10 for designated driver admission. Your ticket will score you a free festival gift (last year&apos;s gift was a pretty nice beer stein), unlimited beer tastings, and a chance to hear local bands rock out all afternoon. The only thing that isn&apos;t included in your admission to Oktobeerfest is food... but don&apos;t worry, your favorite food trucks will be there! Ragin&apos; Cajun, Bravas, and Who Cut the Cheese will be joining in on the fun! If crafting home brewed beer is your hidden talent, take a chance and test your skills! Mad Anthony Brewing Company will be accepting entries for home brewers in the Mad Brewers Challenge until 8/22. Check out their website for details on how to enter. If you haven&apos;t bought tickets yet, what are you waiting for? Tickets can be purchased at Mad Anthony Brewing Company or online. Come on out to enjoy Indiana&apos;s craft beer culture and the only distributor-free festival in the region. Don&apos;t forget to take pictures, post them online, and use the hashtags #MABCsayok15 and #FortWayne! Mallory Carter is a Middle Tennessee State University graduate with a degree in Organizational Leadership. In 2011, she and her husband made the move to Fort Wayne all the way from Nashville, Tennessee. Mallory is an advocate for chronically ill patients, member of the Junior League of Fort Wayne, volunteer, Mad Ants fan, and lover of all things Fort Wayne. By day, she can be found working as an Office Manager & Equity Trader at Monarch Capital Management. In her spare time Mallory enjoys exploring the city and trying new restaurants with her husband, setting and achieving new fitness goals, writing, and cuddling with her sweet Chihuahua, Ellie. You can read more of her musings at www.chronicallyinspired.com.